Gunsmoke and Dragonfire is a collection of stories about the West as you’ve never seen it before! Elven gunslingers fight for justice on the frontier. Martian sheriffs protect a settlement’s water supply from bandits. Monsters out of nightmares stalk hapless frontier towns and small farms. Figures out of history interact with time-travelling wizards and rampaging dragons. Outlaws enlist the aid of mechanized wonders – or flee from them. In this work I have collaborated with a stellar cast of 24 other international bestselling, award-winning, established, and outstanding emerging authors. 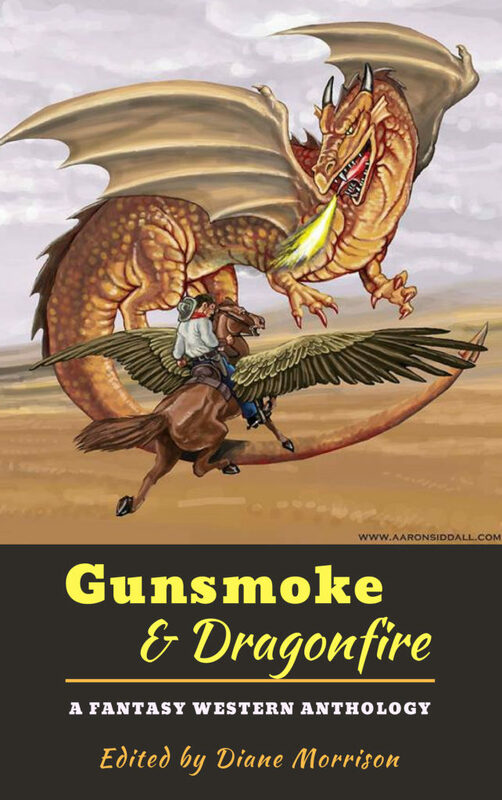 Gunsmoke and Dragonfire is a collection of fantasy, sci-fi, alt-history, post-apocalypse, cattlepunk & weird west stories. Included in this work are the talents of Diane Morrison, Robert E. Howard, Diana L. Paxson, Milo James Fowler, Ron S. Friedman, Brent A. Harris, Ricardo Victoria, Stanley B. Webb and G. Scott Huggins. This excellent collection is available here.